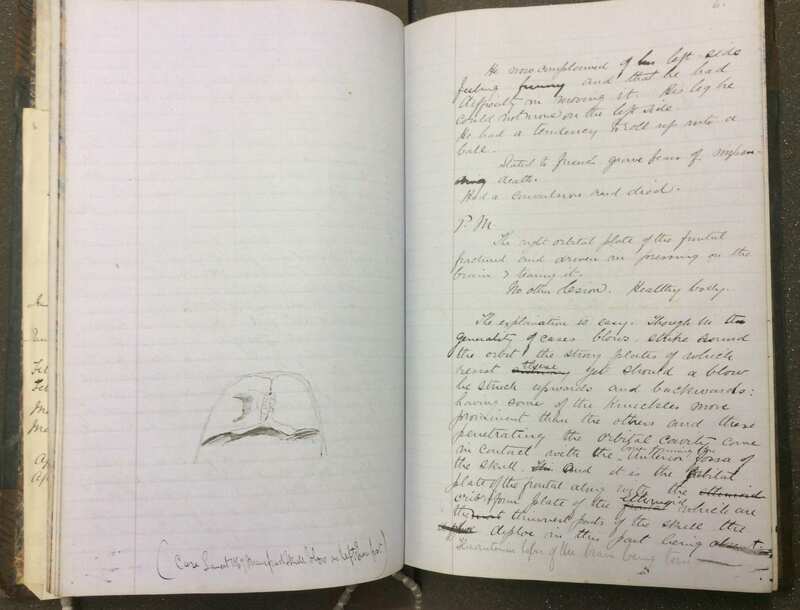 We have had a lot of interest in our collection of the papers of Sir William Macewen recently, particularly the material relating to his early position as Police Surgeon in Glasgow (1871 – 1875). This relatively small part of the collection represents a short, formative and under-researched part of his distinguished career. It nevertheless contains fascinating material that provides some insight into the early work of the great surgeon. The focus of this post is on Macewen’s treatment of and research on wounds during this period. The Private Journal (of surgical cases) covering 1872 – 1875 contains notes on a wide range of Police Office cases. Possibly the most common type of case is the treatment of wounds, usually penetrating wounds caused by assault or accident (the example above shows notes and illustration of a head wound). 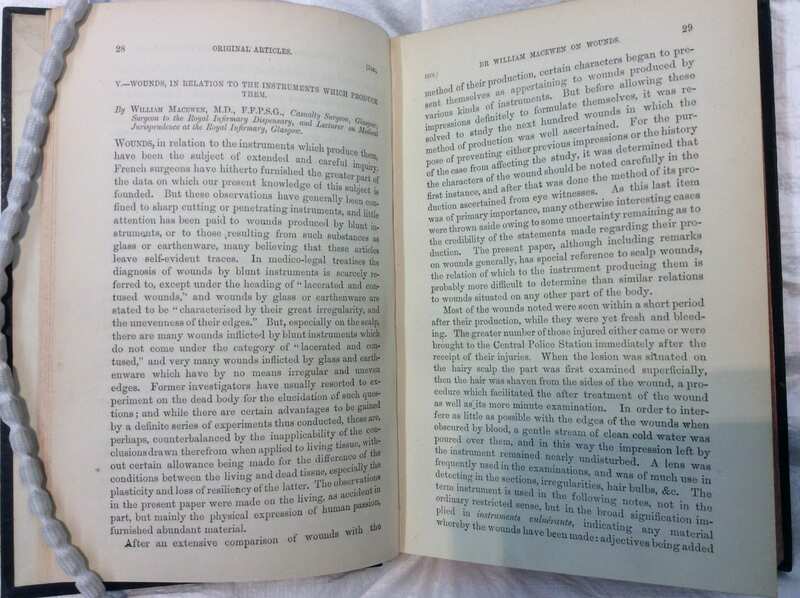 Macewen was interested in both the effective treatment of wounds via investigative surgery, and research into the specific causes of wounds for forensic purposes. 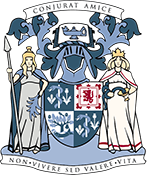 These interests resulted in two notable articles in the Glasgow Medical Journal. 1876 saw the publication of his article ‘Wounds in relation to the instruments which produce them’ (Glasgow Medical Journal, viii, 1876). In the article title (above) he was listed as Casualty Surgeon, and also Lecturer in Medical Jurisprudence at the University. In addition to its original purpose as an aid to accurate wound diagnosis, this extraordinary article provides a detailed catalogue of the clinical results and context of (mainly) violent crime in the city at a specific period. Detail includes the range of weapons used, and the context of the wounds caused by assault and accident (many involving alcohol). 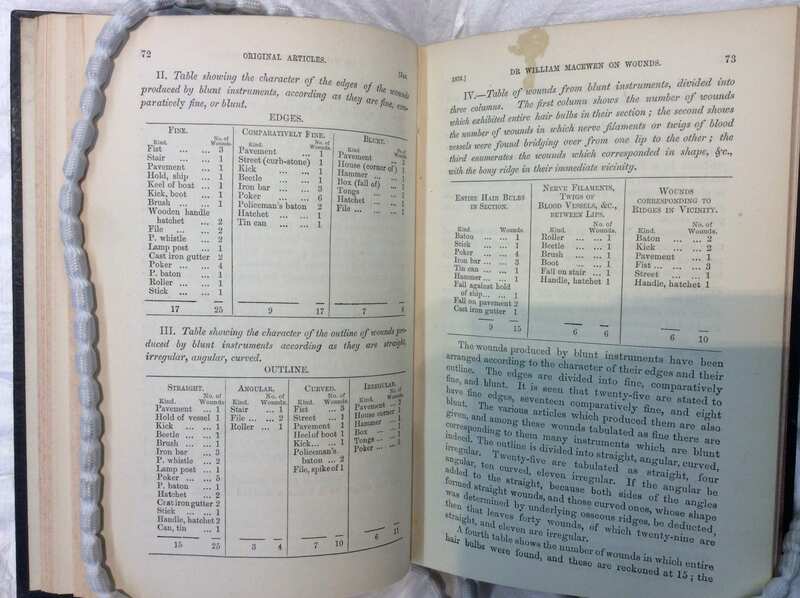 The image below shows how Macewen presented this data, and the eclectic range of instruments identified as causing the wounds. In addition to his move into forensic medicine, this period also saw Macewen challenge the conventional wisdom of surgical textbooks (and their esteemed authors). In 1872 and 1873 he noted several cases of treatment of wounds, particularly of the lungs, for example a case involving a 12 year old boy with a life-threatening knife wound. By adopting a bold, investigative approach (which was not at the time recommended when treating damage to the lungs), Macewen was able to locate a fragment of the knife in the lung. He then removed the fragment, using the antiseptic approach developed by his ex-teacher Joseph Lister. 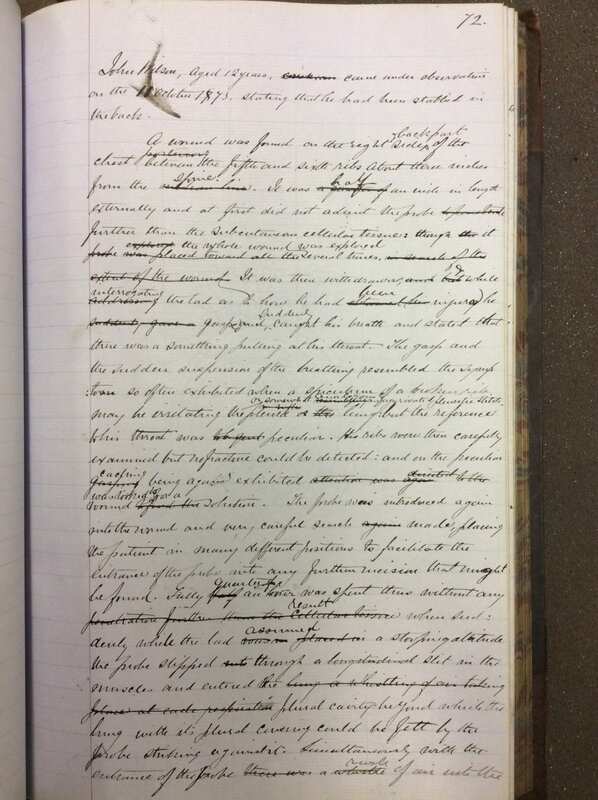 The page from the journal below records this case. It is worth bearing in mind that at the time of writing, Macewen was still only in his mid-20s, and employed in one of the most junior surgical positions available. In addition, he emphasised the adherence to Lister’s antiseptic approach to treating the wounds. In return, Lister wrote Macewen a note, congratulating him on the successful removal of the fragment of pocket knife specifically. 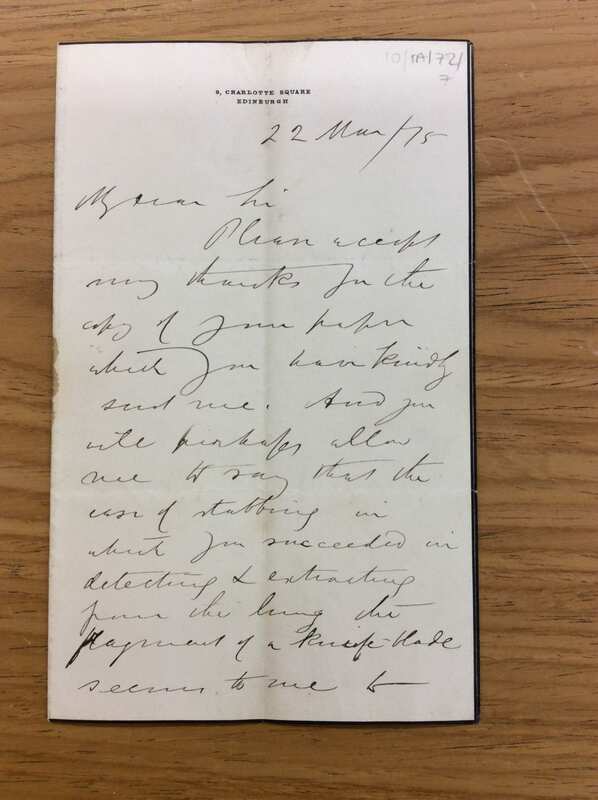 This is among a number of items of correspondence between Macewen and Lister in our collections.